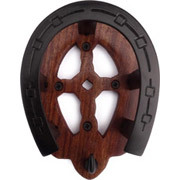 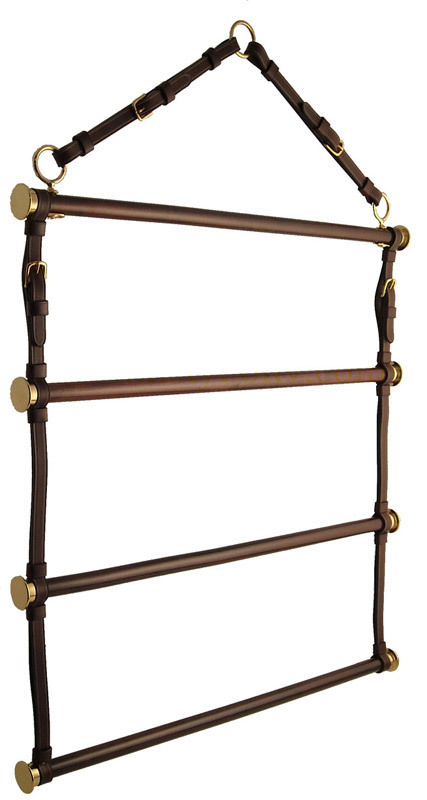 A stunning piece for tack rooms or for bringing classic equestrian style to your home or office. 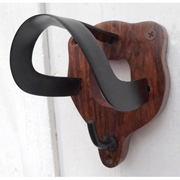 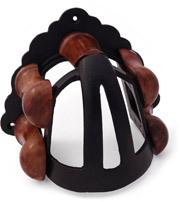 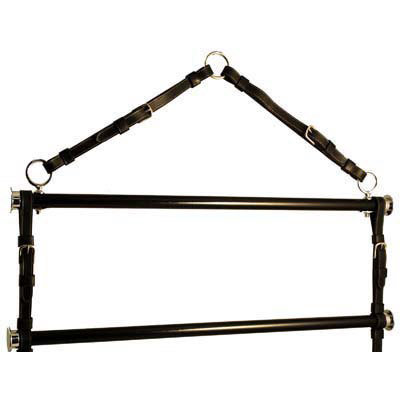 This portable blanket rack is created using stitched European halter leather in black or brown, quality hardware in your choice of finishes, and solid hardwood rods. 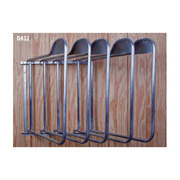 Perfectly functional in the barn, this piece is a great choice in the home for displaying award sheets and coolers or even non-horse related textiles like quilts or favorite blankets. 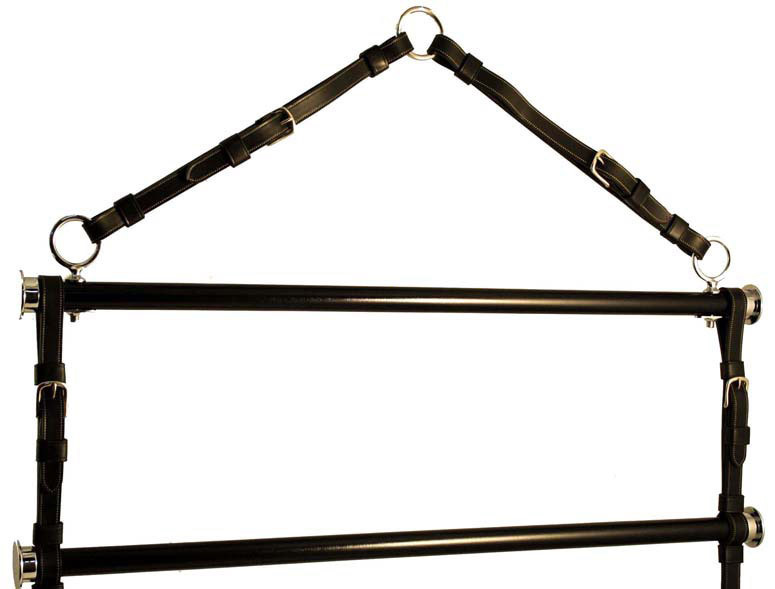 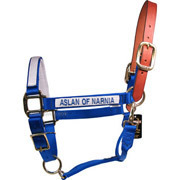 Includes four 30 inch wide dowels connected with 3/4 inch wide leather straps of luxury grade leather. 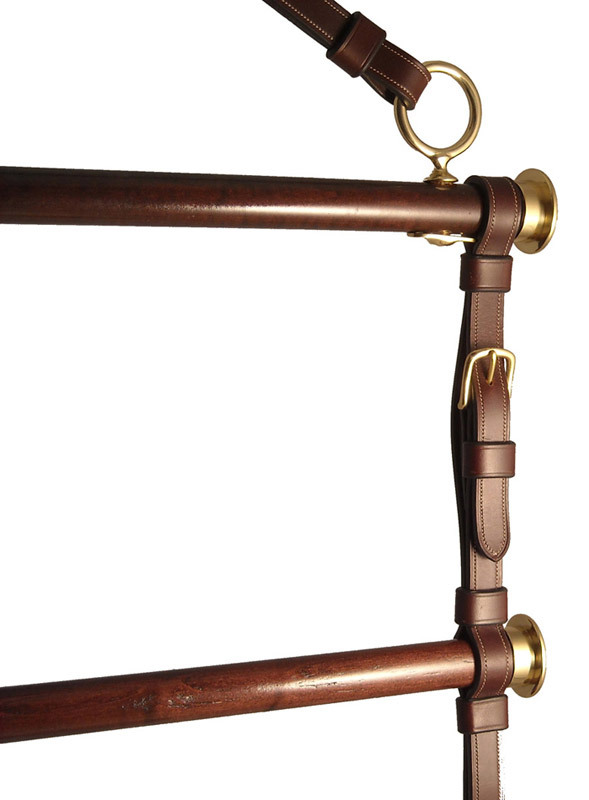 The wood dowels, stained in a Cordovan finish, match beautifully the Australian Nut color of the brown leather. 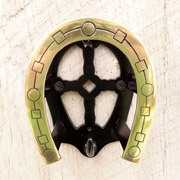 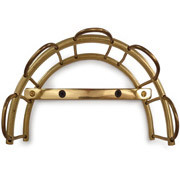 Brass version includes solid brass hardware, including custom made brass end caps. 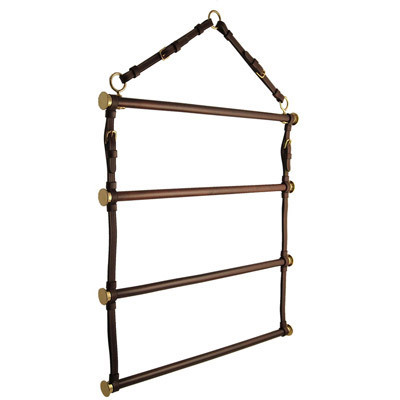 Overall size about 41 inches high and 31 inches wide. 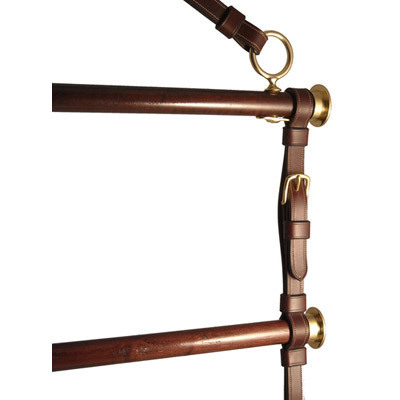 Choose from brass or chrome hardware, paired with black or brown leather.